Can Your Job Increase Your Breast Cancer Risk? Our hormones are so much a part of us we don’t really think about them, until things go wrong. From puberty to post menopause our hormones play a crucial role in so many of our essential functions, and progesterone is often overlooked or under rated. Progesterone and oestrogen are pretty much balanced through puberty but as we move through life various factors affect their normal healthy ratio. There are so many ways progesterone helps us, but sadly we are all too often lacking this essential hormone. Progesterone is most easily noticed because of its effect on the breasts and womb, so from problems with periods and PMS, to having a healthy reproductive system, you want to have plenty of progesterone in your system. However, that’s not its only function as it is essential for your immune system, brain and nerve activity acts on your breasts and uterus, so it’s essential for healthy reproduction and periods. But did you know it also acts on your brain, immune system, and strengthens and helps your energy levels too. 1 Protects against hormonal cancers such as breast and uterine. It does this by again dealing with excess oestrogen (oestrogen dominance) and can safely be used by women with a history of such cancers and/or treatment. 2 Helps weight loss and blood pressure as progesterone is a natural diuretic it helps balance these conditions by helping to reduce weight as excess water is expelled and this in turn helps reduce blood pressure. 3 Mood swings and poor sleep are very common at peri/menopause and progesterone soothes and relaxes to help calm you down and it stimulates sleep centres in the brain to help you through the night. 4 Have you noticed your hair is getting dryer, but your skin more oily? 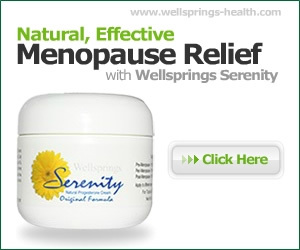 Progesterone helps here because it reduces the increase in male hormones (androgens) at menopause. This help improve hair condition and growth and reduces the amount of oil (sebum) in the skin which in turn helps with spots and acne. 5 Boosts energy by stimulating thyroid and that’s why it is so essential for women with low thyroid, even when on medication as progesterone supports normal thyroid function. 6 Builds bone and protects from osteopenia and osteoporosis by stimulating osteoblasts (bone-building cells) and the growth of new muscle. 7 Reduces the heavy menstrual bleeding associated with oestrogen dominance by balancing the stimulating effect of oestrogen on the uterine lining.